JEE Mains 2019 is one of the India's most important exams which is a gateway to prestegious institutions of India to get admissions to NITs, IIITs, for different courses. JEE Mains 2019 consists of 3 sections : Physics , Chemistry and Maths. All the three Subjects have equal weightage of Marks 120 each. Each Subjects consists of 30 questions of 4 marks each. The questions which is asked is a combination of easy and tricky questions. The level of questions in JEE Mains is not so high. So one of the most important things that students who are preparing for JEE Mains 2019 exams should know about the exam pattern , syllabus , chapterwise weightage of topics to be covered. 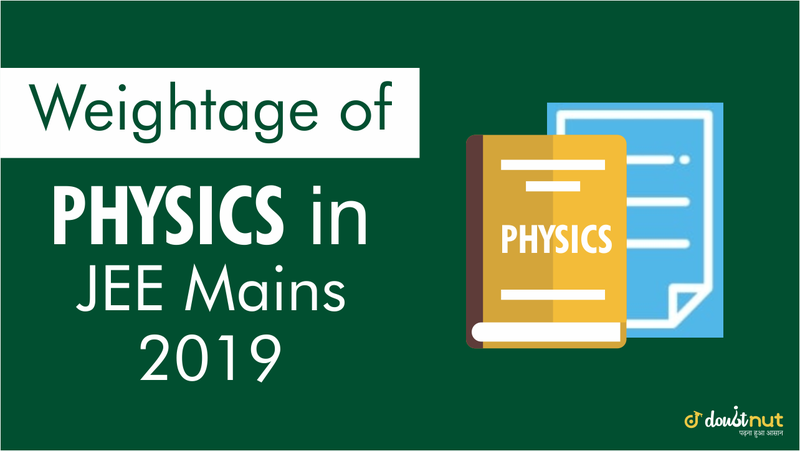 Here we will discuss about the weightage of Physics in JEE Mains 2019 Classwise and Chapterwise. Students will get to know how many chapters from the each subjects. And no. of questions from each chapters of Physics. As Physics of JEE Mains includes 2 sections : Class 11 Phyiscs and Class 12 Physics. Here is the table for Chapterwise weightage of Physics of Class 11. From last 2 years only no questions has come from chapter Unit and Dimensions and In Kinematics 1 question comes each year from this chapter so this chapter is important. It includes rectilinear motion , Projectile motion , and relative motion. Kinematics is important chapter as some of the concepts of others chapters is based on the Kinematics. The question level of this chapter is moderate. Newton Laws of Motion and Friction 1 questions used to come every year. Work. Power and Energy is also important chapters every year questions used to come and some of the questions which are solved by both the concepts of chapters Work power Energy and Centre of Mass..So Candidates should practise both the chapters. And Candidates can see Rotational Dynamics and WPE have more weightage but Students should focus equally on all the chapters to get good scores in exams. As you can see in the table Chapter :- KTG & Thermodynamics both are in Chemistry and Physics syllabus. And it is scoring chapter every year 2 questions of 8 marks come every year If we talk about Thermal Expansion and Caloriemetry then both the chapters are easy Students can expect high output from this chapters. The Chapters like SHM , String Waves , Sound wave are complex chapters and every year 1 question come. so Students can expect 1 question this year also and The level of the questions of SHM lie in the moerate to difficult. If Candidates is studying SHM then they should study String waves and Sound waves onwards because these three chapters are related to each other. Now come to the last two chapters Error Measurement and Gravitation which is also important and easy chapter. Students should focus on these two chapters as well. Now we will discuss about Class 12 weightage of marks chapterwise. As we know Class 12 portion is also important for JEE Mains exam point of view. Here is the table given in which we have talked about weightage of marks of Class 12. As Students can see from the table that all chapters of Class 12 are important for examination point of view. 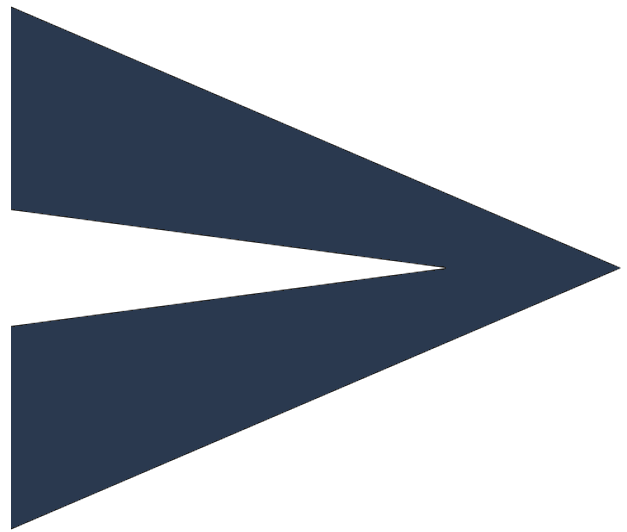 Geometrical Optics is one of the important chapter for both JEE Mains and JEE Advanced exams but on JEE Advanced exams it has more weightage. Talking about the Electrostatics every year 1 question always come so we can expect 1 question this year also and the levelof the question of this chapter lies in between moderate to easy level. And if we consider the high weightage of chapters in JEE Mains then Current and MEC & Magnetism are the two chapters of Class 12 having high weightage of marks in exam. The level of the question is medium to easy level. As we know Capcitor is inversely proportional to resistor and Resistor is used in Current so Chapter Current and Cpacitor are related to each other. The level of question in Capacitor is difficult. Last three chapters like Magnetic Induction , Alternating Current and Wave Optics all the chapters are important. Formula based questions come in Chapter Alternating Current. So students should focus on weightage of marks in the exams so that they will get some idea about the pattern of examinations and this will help in preparation of exams. Here comes the scoring sections of Class 12. These Chapters are the easiest and scoring chapters of Class 12. If Students are revising these chapters continuosly then they will score more marks in examinations. All formula based questions of the given that which topics are important and scoring they will get an idea about the exam pattern and this will help them to make a specific time table and thus help in preparation of exams.